Brazilian stocks soared Monday following presidential elections in the country. Far right candidate Jair Bolsonaro scored a decisive victory in the run-off Brazilian presidential election, landing 55.2 percent of the vote. His competitor Fernando Haddad drew 44.8 percent of the vote. Bolsonaro ran on a platform that's geared toward improving the economy. Brazil’s economy has been under pressure in recent years, and Brazilian voters seemed to fear Haddad would continue the status quo. 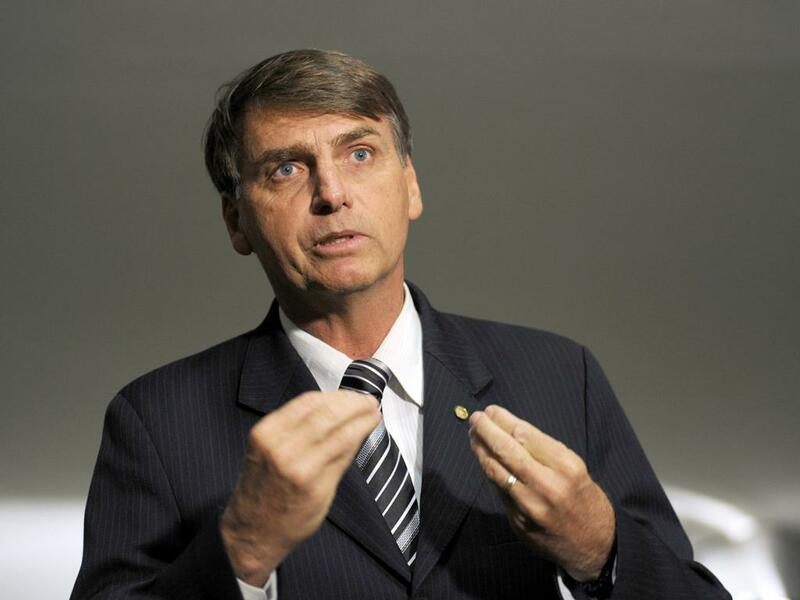 Bolsonaro has said he will prioritize cracking down on corruption, making the Brazilian central bank more independent, and transitioning state-run companies to the private sector. 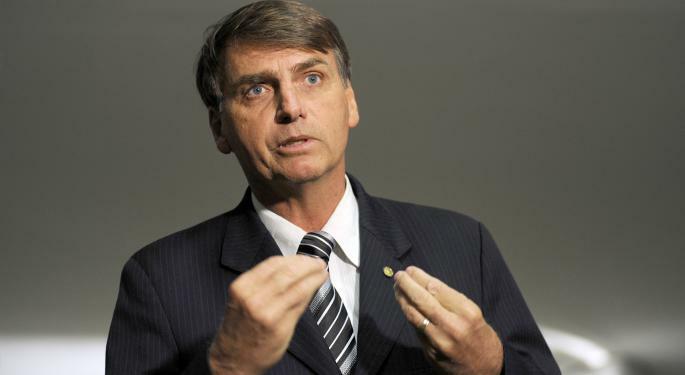 Bolsonaro has been criticized for his controversial past comments related to race, women and homosexuality. Former Brazilian President Luiz Inacio Lula is currently serving a 12-year prison sentence for corruption. Under Lula’s leadership, Brazil’s national deficit expanded significantly, and the nation’s pension system became unstable. iShares MSCI Brazil Index (NYSE: EWZ) was up 1.7 percent. Embraer SA (NYSE: ERJ) up 1.8 percent. Petrobras Brasileiro (NYSE: PBR) up 0.9 percent. Itau Unibanco Holding SA ADR (NYSE: ITUB) up 2.7 percent. Telefonica Brasil SA (NYSE: VIV) up 2.6 percent. 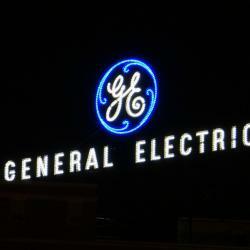 Gerdau SA ADR (NYSE: GGB) up 0.8 percent. Braskem SA (NYSE: BAK) up 2.6 percent. Companhia de Saneamento Basico (NYSE: SBS) up 5.2 percent. Banco Bradesco SA (NYSE: BBD) up 1.5 percent. AMBEV S A/S ADR (NYSE: ABEV) up 1.6 percent. Investors will be watching closely to see if Bolsonaro follows through with his campaign promises of eliminating corruption and kickstarting the economy.